Yaayyyy it's time for another review! 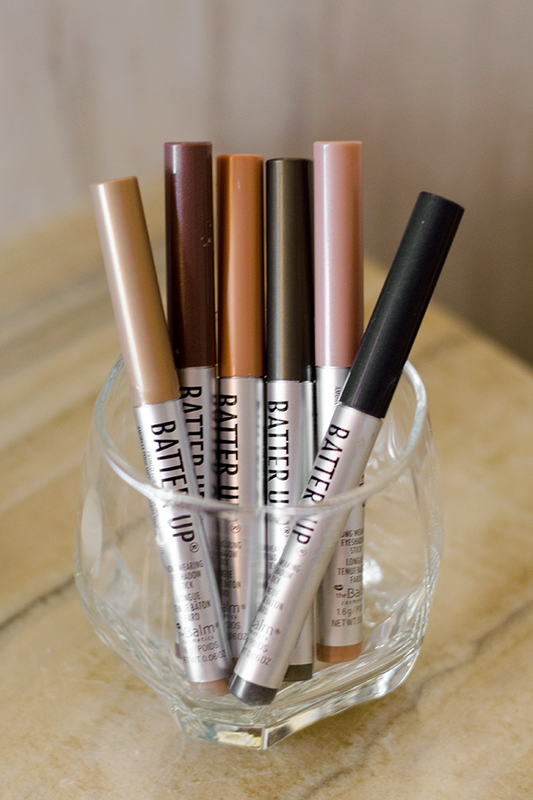 Yes, as you see above, my review is gonna be about the newest product from The Balm, which is Batter Up Eyeshadow Stick. I've never ever tried an eyeshadow crayon before, I've always use eyeshadow powder for my daily makeup. 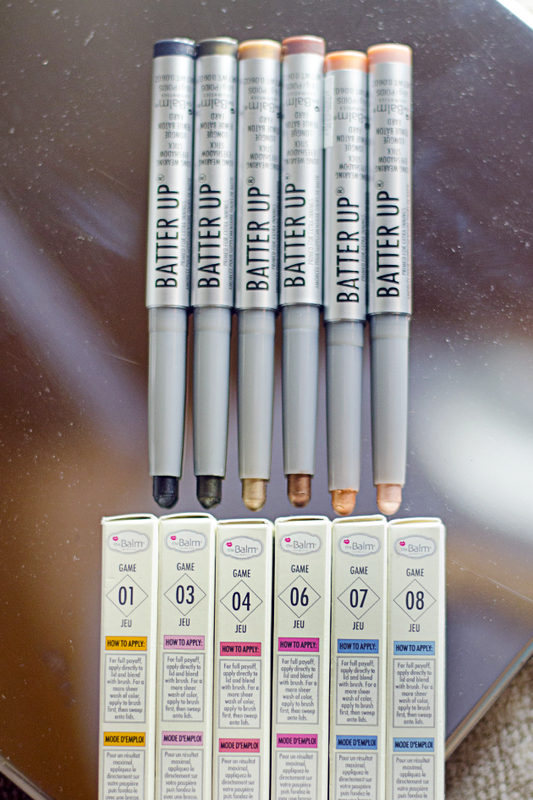 What makes me super excited is, I got all of the shades! There are 8 shades in total actually, but only 6 shades are available in Indonesia. So let's get the review started! 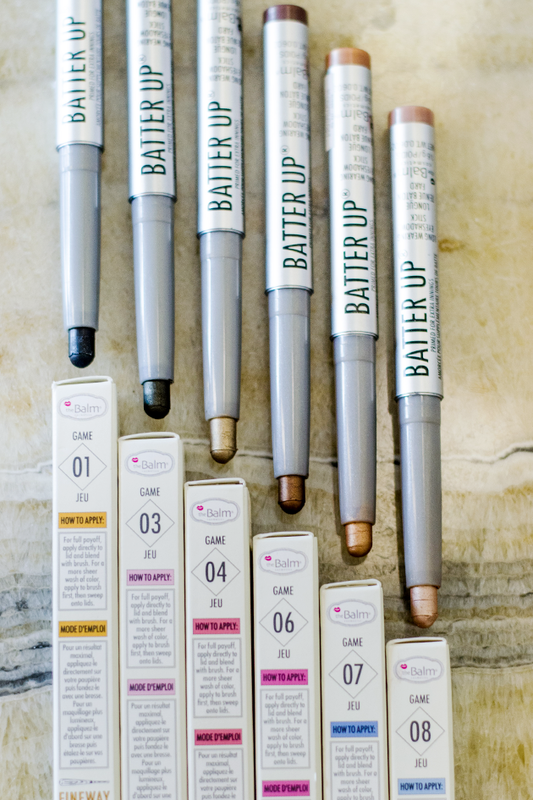 From the packaging, I really love The Balm's concept, because everything about their packaging is super creative! 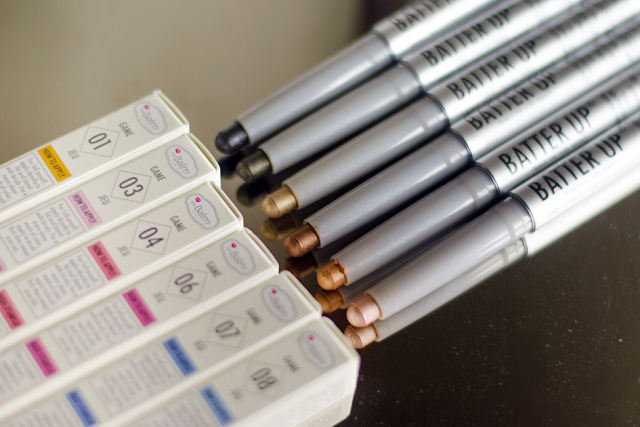 Indeed an eyecatching and brainy design. 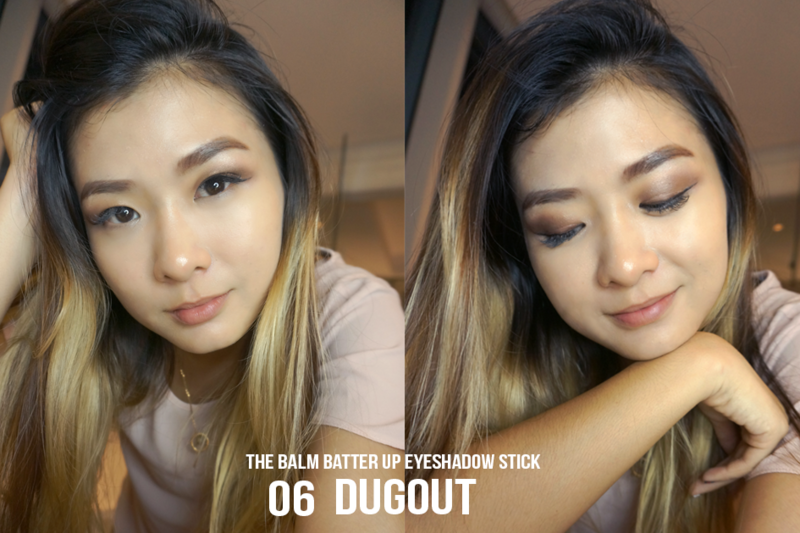 For the Batter Up Eyeshadow Stick series, the theme is baseball without forgetting its branding characteristics, which is using colorful pop art design. 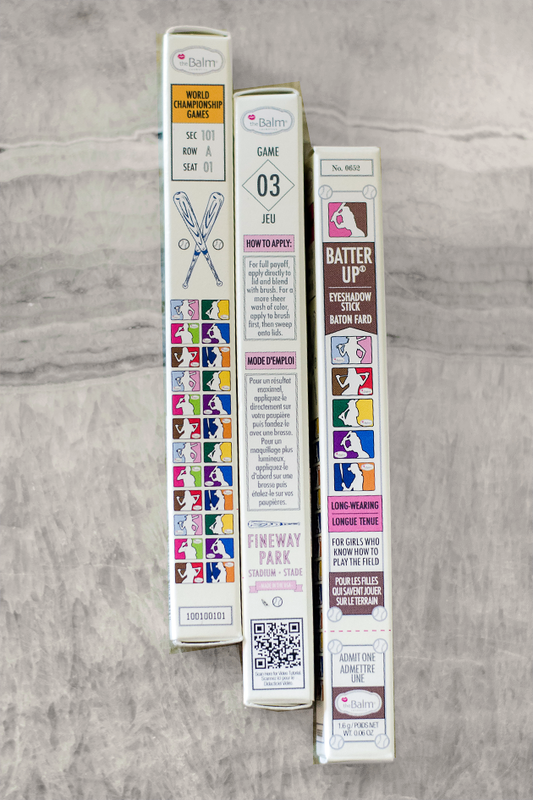 Supported by the typography details which is also about baseball, I was kinda amazed, they truly did giving a hundred percent for its packaging. 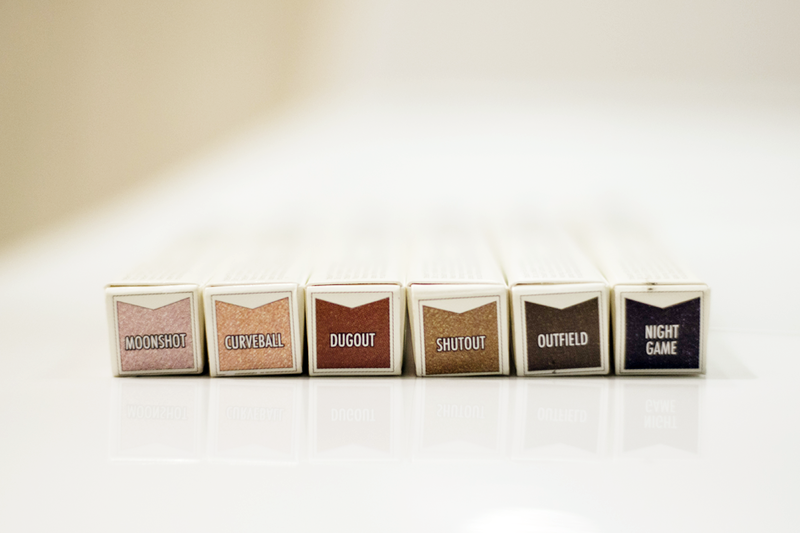 There is the number and shade's name for each box, and you know what, the shades name are also about baseball. Real cute isn't it! 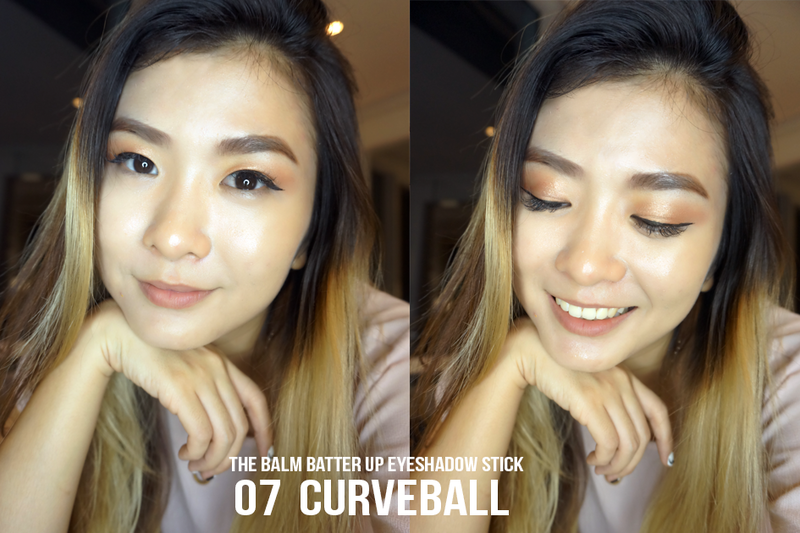 The eyeshadow stick is using a twist-up system and when it is applied, the texture is creamy crayon and pigmented, so you can directly see the color even when you just applied it once. 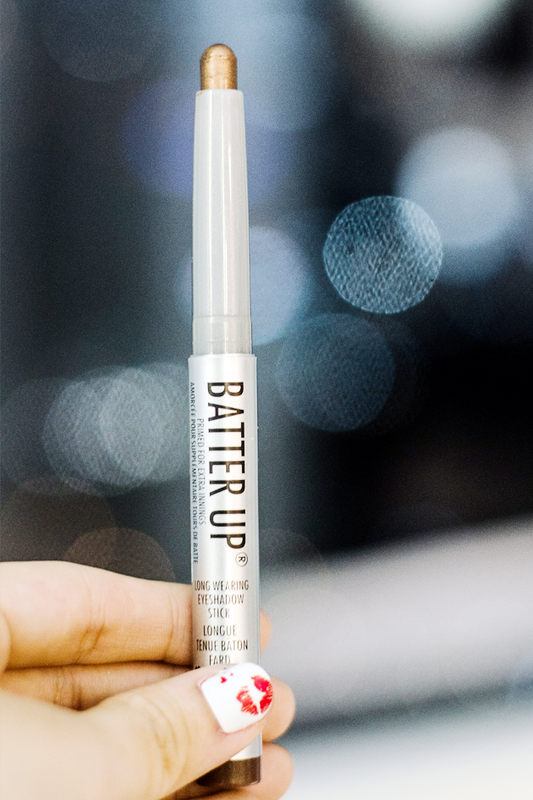 It's also smudge proof, and I'll give you a little tips, after you apply the eye crayon, you should quickly blend it with brush or your finger because they really set fast for a whole-day-wear. 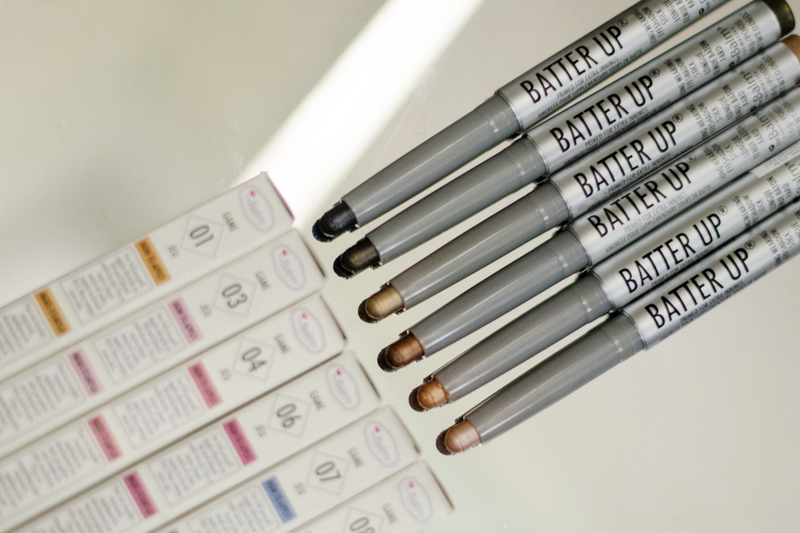 For the color, everything is very natural and indeed wearable for daily wear. For the bright and soft color, everything is glittery with shimmer effect, and for the dark color, the finishing result is matte. 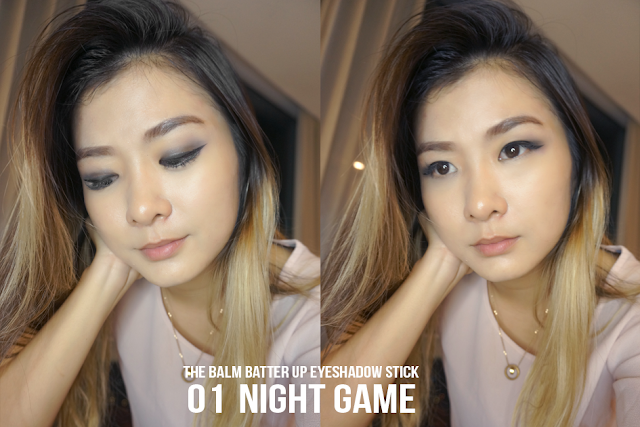 Night Game is more to blueish grey and black, really suitable for edgy make up and smokey look. 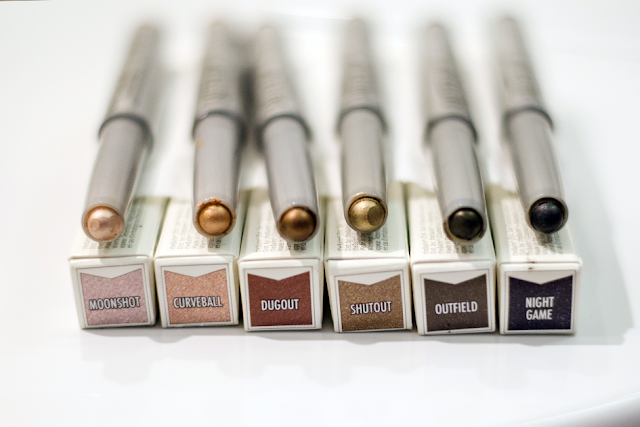 For Outfield, it is more to army green color, and it can also be greenish gray if you apply it a thin layer. This Shutout one is real gold, yellowish gold with a glittery finish, super natural! Dugout is more to a reddish brown with a matte finish, also suitable for smokey look. For you who wanna look all sweet and girly, Moonshot is the answer! The color is blush pink, it's super natural you can barely see the eyeshadow, and of course, with a glittery finish. 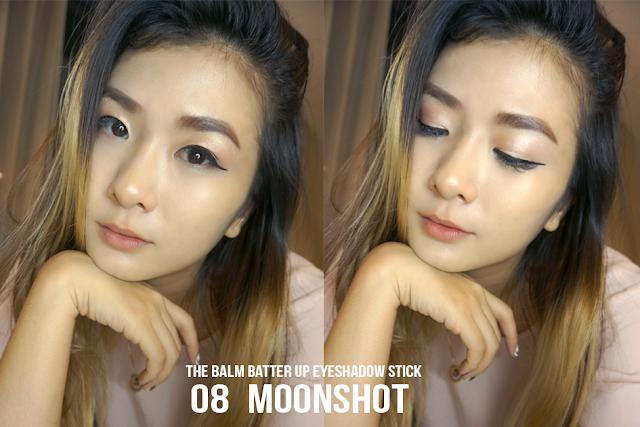 Moonshot can also be used as a shimmer for the inside corner of the eyes. So that's all for this review, thank you so much for reading and hopefully this review can be useful for you guys. See you on my next one fellas!